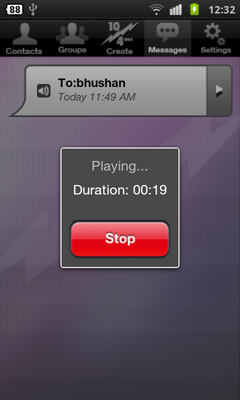 10-4 me allows you to send voice and video messages just like you send a text! There is absolutely no easier or better way to communicate with friends and family then 10-4me. Stop wasting time calling and texting people when all you want to do is send a message. See an amazing moment you want to share? Send a 10-4me video to all your friends. 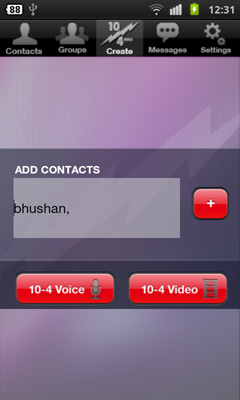 Easily add and select contacts from your 10-4me address book then instantly send them voice or video messages. Don't limit video sharing to contacts only! With the press of 1 button, post your 10-4me video on your Facebook wall. There's a lot you can say or show in 30 seconds, so get started! Get 10-4me for iPhone & Android! 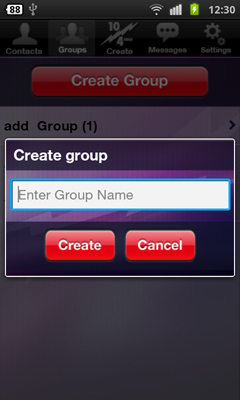 With 10-4me, you can create as many groups as your heart desires. There is no limit! An alert lets you know when you have a new message. No need to login to voicemail. Simply open 10-4me, listen to or view your messages, then reply to the sender or group. It's fast and it's easy. There's no easier way to communicate with friends and family! Try 10-4me today!